Milad Heidari Koochi was born in 1986 in Shiraz, Iran. After he finished the elementary school he got accepted by the NODET (National Organization for Development of Exceptional Talents) and finished in 2004. 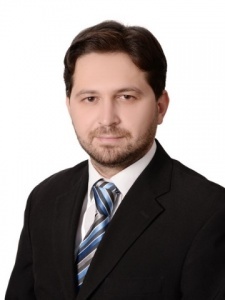 He got his bachelor’s degree in mechanical engineering at Shiraz University in 2009 and his Master’s degree in mechanical engineering at University of Tabriz in 2013. Then he joined the army for 2 years to do the compulsory military service. After finishing the service, he got accepted by the CITY University of London as an early stage researcher to pursue his studies as a PhD candidate in 2016. Project Title: Three-dimensional characterisation of the cavitating flow in orifice-type nozzles through high speed visualisation and X-ray tomography. 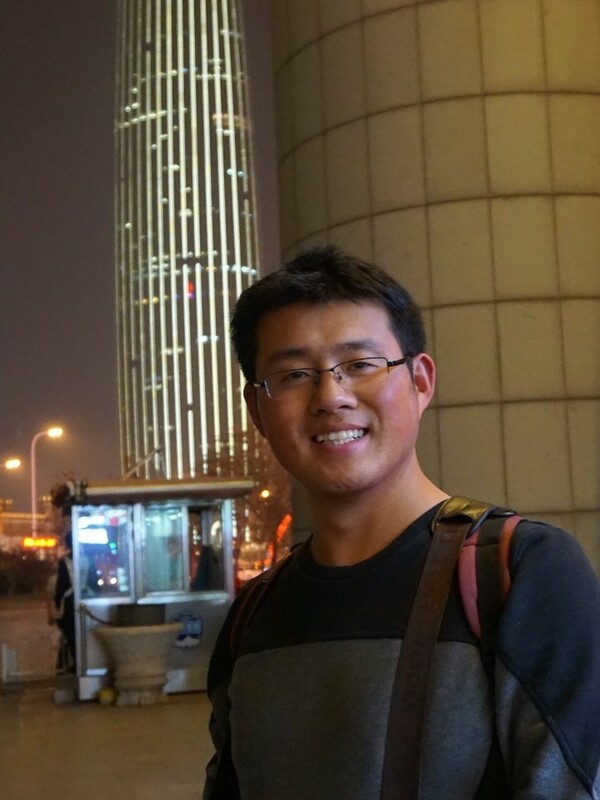 Jiayi obtained his Bachelor of Engineering Degree in 2013, from Tianjin University in China, and his Master’s in 2016 from Beihang University in Beijing. His Master Thesis was in Measurement technology and instrumentation titled ‘ Particle sizing methods and systems based on light scattering theory’. Following his Master, he was recruited to work for the HAoS EU project at Chalmers University of Technology in Gothenburg, Sweden. Project Title: Experimental investigation of bubble-collapse induced atomisation. Born in Palestine 1988. He persuaded his undergraduate study (5-years) in Mechanical Engineering at An-Najah National University in Palestine. After his graduation he was awarded a full scholarship to conduct his MSc. in Turkey at Izmir Institute of Technology supervised by Assist. Prof. Alvaro DIEZ. His Master thesis is titled by: “Experimental Investigation of GDI Injectors”. The thesis was part of a project funded by the Scientific Research Council of Turkey “TUBITAK”. In that work he quantified the effect of flash-boiling by measuring spatially and globally the spray momentum flux and utilizing high-speed imaging technique using N-Heptane, which is a Gasoline-like, working fluid. All the experiments have been accomplished at the spray labs of the University of Perugia, Italy and supervised by Assoc. Prof. Lucio POSTRIOTI. 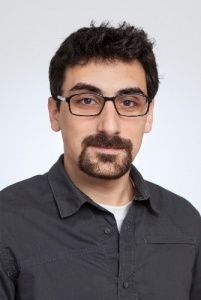 His work has been successfully published and presented at SAE 2015 conference. To continue his passion, he was recruited for the PHD by the CNRS, UMR 6614 CORIA-France as an ESR at HAoS project. Project Title: Multi-scale investigation of textural atomisation processes. Objectives: (1) Characterise experimentally textural primary and secondary atomisation processes, including the ligament and droplet formation. (2) Perform multi-scale analysis of the breakup of liquid ligaments. (3) Provide elements of a SGS atomisation model for surface production applicable for the LES-PDF simulations. Eduardo Gomez Santos holds an Aerospace Engineering + MSc in Aircraft design from the Escuela Tecica Superior de Ingenieros Aeronauticos of Madrid, Spain. 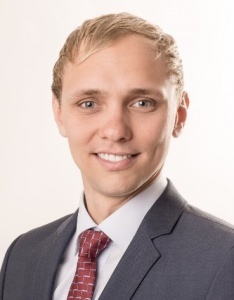 Since March 2016 he conducts his research as PhD student at the Advanced Injection and Combustion Centre of Delphi Automotive Systems Luxembourg within the HAoS Project being his degree granted by City, University of London. His focous will be to investigate the Diesel Injector Nozzle Flow and Spray phenomena under dynamic operating conditions. Project Title: Identification of liquid fuel, fuel vapour and residual air mixing during needle opening and closing in fuel injectors. Objectives: (1) Visualise the flow during the needle opening and closing in Diesel injectors, which is a result of phase-change through cavitation, residual vapour (from the previous injection cycle) as well as engine gases suction during the needle motion. (2) Utilise these measurements in Diesel spray simulations aiming to optimise the nozzle geometry and needle motion. Nikos studied Mechanical Engineering at the National Technical University of Athens (NTUA), and later pursued Aeronautical Engineering studies in France (ISAE-Supaero). 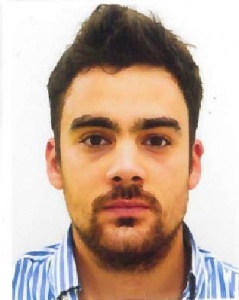 He has worked as a research assistant at the laboratory of Aerodynamics (NTUA) and the Department of Heterogeneous Media of ONERA Toulouse; his work was mainly focused on vortex methods and integral boundary layer methods. 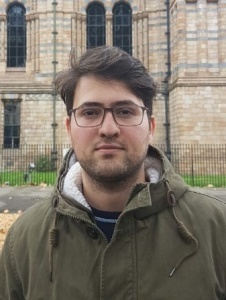 In 2016 he joined the Fluidics and Biocomplexity group of University College London as a PhD student under the supervision of Professor Yiannis Ventikos. Project Title: DNS simulation of bubble-collapse induced atomisation. Objectives: (1) To utilise a shock and interface capturing DNS solver for the investigation of processes involving interactions of multiple bubbles with multiple shockwaves. These include the formation and breakup of fast-moving liquid jets, the formation and collapse of cavities and the emergence of secondary strong shock waves. (2) To post-process the DNS results using statistical and phenomenological approaches for the construction of a SGS model that accounts for bubble-collapse and shock-induced atomisation mechanisms. Daniel Loureiro was born in Portugal and graduated in Aerospace Engineering, in 2015, from Instituto Superior Técnico (IST), Lisbon. During his studies he participated in an international exchange program at the Federal University of Santa Catarina (UFSC), Brazil, including an internship on Wind Turbine Design (2014). Later, he was also an intern at the Rocket Propulsion Center of Technion-IIT, Israel (2015). For his master thesis, developed at the Institute for Plasmas and Nuclear Fusion (IPFN), Lisbon, he worked on Hypersonic CFD applied on atmospheric re-entry of spacecraft. With these works he developed a broad background in scientific computing, fluid mechanics and thermodynamics. Currently he is pursuing his PhD at the Institute for Combustion Technology (ITV), University of Stuttgart. Project Title: DNS simulation of flash evaporation of cryogenic liquids in rocket engine injectors. Objectives: (1) Characterise flash atomisation in rocket reaction and control systems (RCS) and orbital and manoeuvring systems (OMS) with DNS. (2) Analyse early explosive bubble growth that leads to the spray breakup for flow areas that experiments are not possible. (3) Investigate the importance of effects that trigger nucleation, such as the pressure fluctuations induced by turbulence under realistic operating conditions. Anirudh Asuri Mukundan earned his Bachelor of Technology (B.Tech.) degree in Production Engineering from National Institute of Technology Tiruchirappalli (NIT-T), India in 2014. 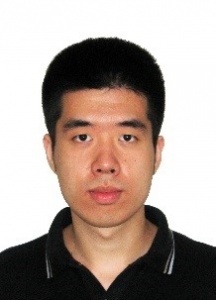 He specialized in Energy engineering track during his Bachelor’s study. Following this, he received Master of Science (M.Sc.) degree in Simulation Sciences from RWTH Aachen University, Germany in 2017. In the final year of his Master’s study, he conducted his Master’s thesis titled “Analysis of Auto-Ignition using DNS” at the Institute for Combustion Technology (ITV) headed by Prof. Dr.-Ing. Heinz Pitsch at RWTH Aachen University. Currently, he is working as an early stage researcher (ESR) at the CNRS-CORIA lab in Rouen, France in the Marie Curie-ITN project HAoS. Project Title: DNS modeling of liquid jet atomization. 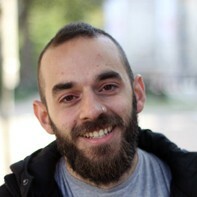 Dionysios earned his diploma in Mechanical Engineering from the National Technical University of Athens (NTUA) in 2012. He followed the energy track and carried out his diploma thesis at the City University of London (CUL) as an Erasmus student in the subject “CFD simulations in pressure retarded osmosis systems”. Following this he received his Msc in Sustainable Energy Technology (2015) from the Technical University of Delft. In the final year he conducted his master thesis entitled “Integrated approach to system modeling of Organic Rankine Cycle (ORC) systems”. He worked on a contract basis for six months (2016) for the Greek company Public Power Corporation (PPC) S.A. in the department of Energy Management. 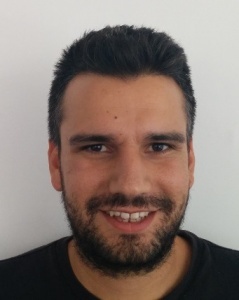 Currently he works at the Centre for Research and Technology Hellas (CERTH) in the Marie Curie-ITN project HAoS and is an external PhD student at CUL. Project Title: Droplet cluster break-up characterisation under non-evaporating conditions. Objectives: (1) To characterise using DNS the dynamics of dense droplet clusters. (2) Derivation of relevant SGS models. Stavros graduated at October 2015 with an MSc degree in Geophysical Fluid Dynamics from Physics and Astronomy department of Utrecht University in the Netherlands. 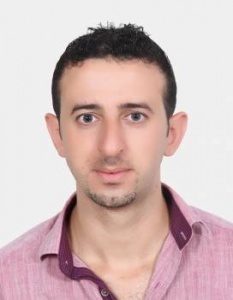 He holds a BSc degree in Theoretical and Applied Physics from University of Athens, while he has experience in CFD on Marine and Offshore applications. 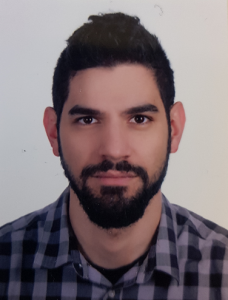 Since July 2016, he is working as a researcher at Center of Research and Technology Hellas (CERTH) and he is external Phd student in the department of Mechanical Engineering & Aeronautics at City University London. Project Title: Droplet cluster break-up characterisation under evaporating conditions. Objectives: (1) Characterise the increased surface area and vaporisation rate for the same droplet clusters as the previous ESR including vaporisation. (2) Derivation of relevant SGS models. Aqeel graduated as Mechanical Engineer (BSc level) from University of Engineering and Technology Lahore – Pakistan, which is the most famous public sector engineering school in the country. After that, I worked in industrial sector as Mechanical Maintenance Engineer. Things changed when he was offered a fully funded Masters level mobility scholarship by Erasmus Mundus (EU grant) to study MSc in Mechanical Engineering from Politecnico di Torino – Italy. He opted for higher studies resigning from a full time employment in view of my long term goals to work in research and development sector. He was working as an intern at IFP Energies nouvelles in Paris, when he was offered an ESR position in the HAoS project. Project Title: LES modelling of atomisation from Diesel fuel injectors. Objectives: To utilise the textural atomisation measurements (WP1) and DNS data (WP2) for developing an SGS model for cavitating Diesel fuel injectors. 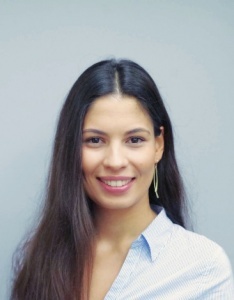 Georgia Nykteri studied Mechanical Engineering in the National Technical University of Athens (NTUA) and graduated with honours in 2016 in the top 2% of her class. Being keen on fluid dynamics and computational methods, she followed the specialization of Air and Ground Transport Vehicles and conducted a diploma thesis in the challenging subject of numerical simulations of problems under uncertainty using the Intrusive Polynomial Chaos Method. During the fourth year of her studies, as she was seeking for new opportunities and a working experience abroad, she did an internship in Andritz Hydro GmbH in Linz, Austria, working on a computational project about the optimization of the hydraulic machines geometry and the hydraulic power plant operation. Currently, she is a PhD student at CITY, University of London. Project Title: Modelling of in-nozzle cavitation and spray development using compressible LES. Objectives: To develop a coupled LES methodology for in-nozzle flow and fuel atomization taking into account liquid/gas compressibility effects through real gas EoS. Giovanni completed his studies in Italy, at the University of Sannio, in Benevento, where he received in 2012 his Bachelor of Science degree in Engineering, with a curriculum of Energy Engineering and continued his studies in the same university, and received a Master’s Degree in Energy Engineering in 2014. From the January 2015 to May 2016 he was employed as research fellow at the Institute for Research on Combustion (IRC) of CNR in Naples, Italy. The research project I was involved in concerns numerical simulation of multiphase flow. Particularly, his research activities focused on the project MEGARIS: a new micro-cogeneration system based on the coupling between a fluidized bed combustor and a Stirling engine. In June 2016 he started my PhD in mechanical engineering at the Imperial College of London, with Dr. Navarro-Martinez as supervisor. Project Title: LES modelling of atomisation from airblast atomisation for aero-engines. Objectives: To develop the Σ-Y/PDF model for the surface generation and destruction during liquid injection from aiblast atomisers utilised with aero-engine combustors. Marco was born in Berlin, Germany in 1989. Due to his swim activities over two decades he developed a large curiosity of fluid dynamics and turbulence and started his academic career 2009 in Naval Architecture and Ocean Engineering. Out of an internship at the “P+S Werften” (ship yard) in Stralsund, Germany he wrote his bachelor thesis about “Special features of equipment on ships operating in low temperatures”. He remained at Technische Universität Berlin and earned a master’s degree in physical engineering sciences with a major in fluid and thermodynamics. At the end of his 18 months’ work at the division of computational fluid dynamics, which included teaching and research duties, he finished his studies with a master thesis titled “Simulation of motor cooling flow driven by a radial fan in complex rail vehicle geometries”. As he has achieved a deep knowledge of computational fluid dynamic he has been recruited for the HAoS subproject “One-dimensional turbulence modelling spray-turbulence interaction” at Chalmers University of Technology, Sweden. Project Title: One-dimensional turbulence (ODT) SGS modelling of spray-turbulence interactions. Objectives: To develop, validate and implement an ODT model of turbulence liquid-gas interaction during atomisation. Theodoros Lyras earned his diploma in Mechanical Engineering from the National Technical University of Athens (NTUA) in 2009. He followed the energy track and carried out his diploma thesis titled “Numerical simulation of coal gasification at high temperature and pressure” as an Erasmus student of the Technical University of Munich (TUM). 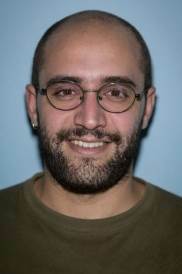 While working in the private sector (ANTIPOLLUTION S.A., XEROX S.A., CERTH, EYDAP S.A.) he completed his MSc studies in Computational Mechanics (2016) at the National Technical University of Athens (NTUA). His master thesis is titled “Shape optimisation of a powered two-wheel motor vehicle using the continuous adjoint method”. 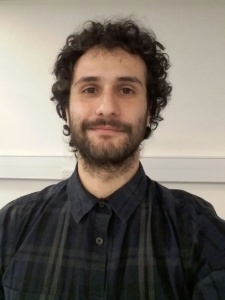 He currently works as an Early Stage Researcher (ESR) at the City University of London (CUL) in the Marie Curie-ITN project “HAoS” and he is enrolled as a PhD. Project Title: LES modelling of flash-induced in-nozzle phase change in cryogenic fluid flows. 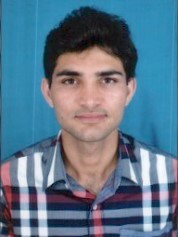 Yasir Hayat Nazeer, M.Sc. is working at Mitsubishi Hitachi Power Systems Europe in the capacity of Process Research & Development Engineer and pursuing his PhD degree from City, University of London under the frame work of HAoS project. Mr. Nazeer has completed Master’s degree in Power Engineering with focus on application areas of thermo-fluid sciences and thermal energy systems and has done bachelor’s degree in Mechanical Engineering. 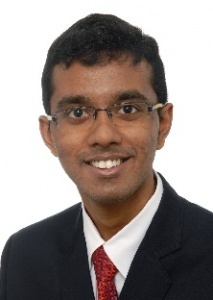 His research interests include numerical modelling and physics of multiphase flows in fuel injection systems and subsequent atomization process in combustion systems. Project Title: In-nozzle transient effects and fuel atomisation characteristics during cold start injection condition of oil burners. Minchao Han earned his diploma in Thermal Energy and Power Engineering from the Hebei University of Technology (HEBUT) in 2012. His diploma thesis title is “The study on the structure and cooling performance of heat exchanger of train transformer”. Then he received his M.S in Thermal Energy Engineering from University of Chinese Academy of Sciences (UCAS) in 2015. In the final year he conducted his master thesis entitled “Experimental and numerical investigation on laminar combustion characteristics of premixed syngas flame with different dilution at elevated pressures and temperatures”. He obtained a PhD position from The University of Melbourne (UMELB) in 2016 and began his doctoral study in February 2017. Currently he works at the Thermodynamics Lab in Department of Mechanical Engineering financially supported by UMELB. As the representative of UMELB, he participates the Marie Curie-ITN project HAoS with project title “Atomization measurements under evaporating conditions”.